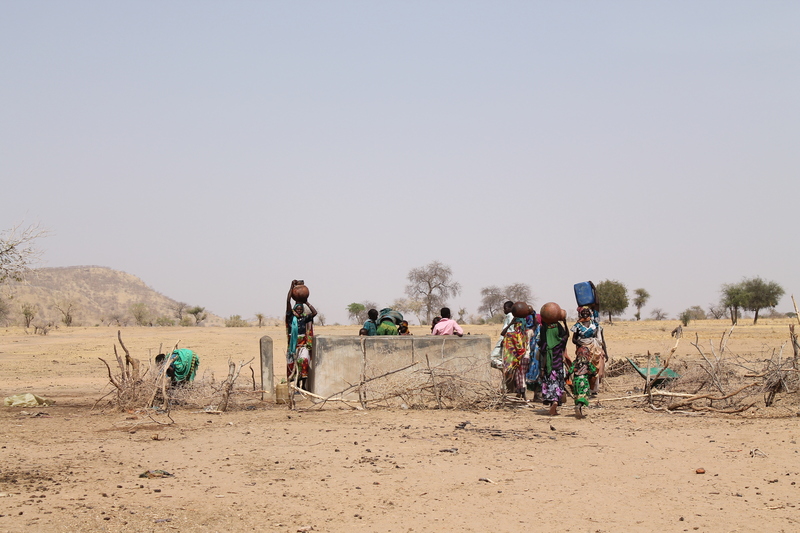 The following is written by Michael Batakao, a World Concern program officer based in Goz Beida, Chad. 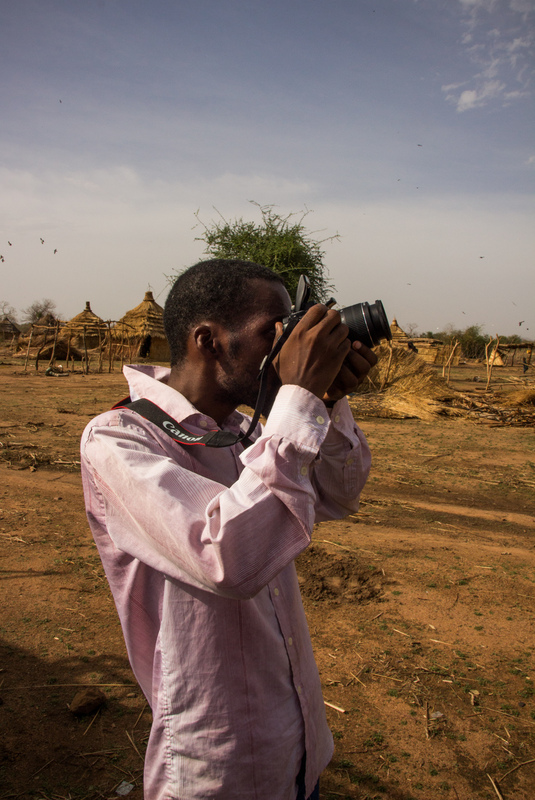 He helps oversee the implementation of our One Village Transformed projects in Eastern Chad. In this blog post he shares some first-hand experiences from his work with World Concern, and how he sees lives being changed because of it. I can honestly say that I never thought that I would one day land in Goz Beida, Chad. And I never imagined that I would be actively involved in the lives of rural communities. Born and raised in Chad, I’ve always been an advocate for sustainable community development, particularly considering the country’s current socio-economic status. 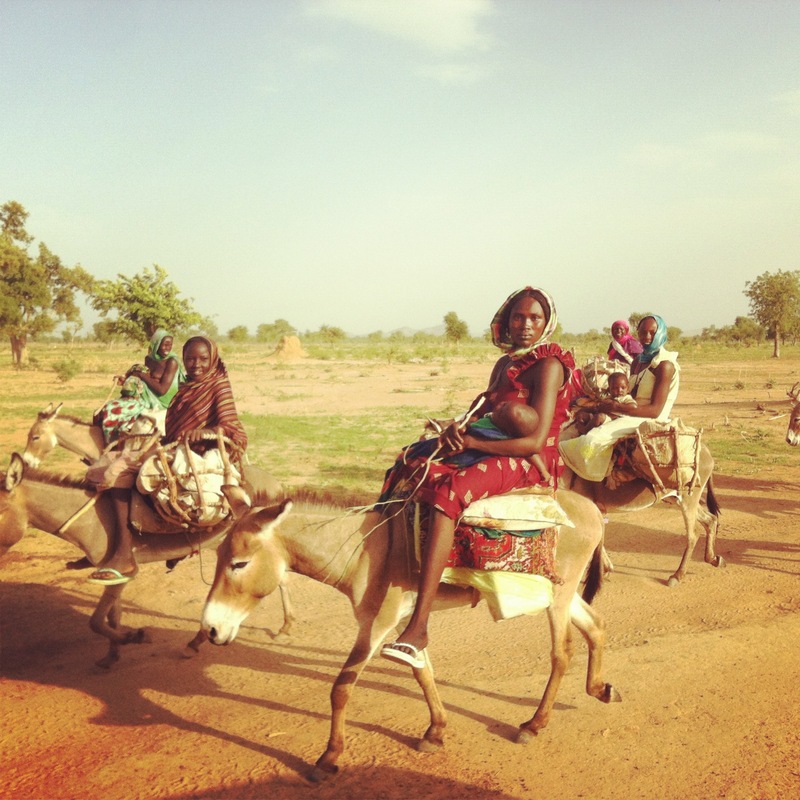 Chad ranks among the 10 poorest countries in the world. Because of this, it has been very exciting to be an integral part of World Concern’s One Village Transformed (OVT) program. I joined the team as an OVT program officer, which has allowed me to be involved in all stages of the project development and management cycles (assessment, planning, implementation, monitoring and evaluation, etc.) as well as some media work for World Concern headquarters. My life and work with World Concern is far from boring. 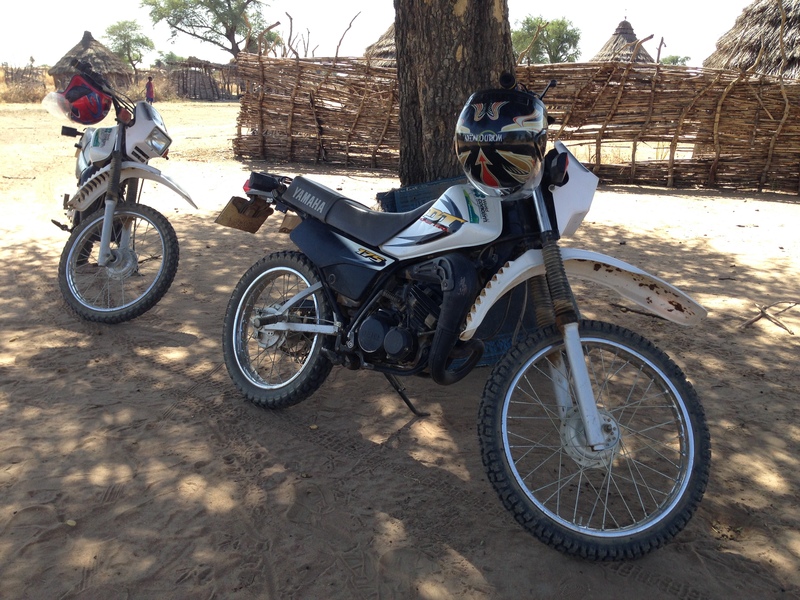 My average day involves traveling with a team to visit one of World Concern’s partner villages – in other words, journeying between 1 and 2 hours by SUV or motorbikes over rocky/muddy/dusty and really bumpy roads with temperatures ranging from 80 to 110 degrees Fahrenheit. 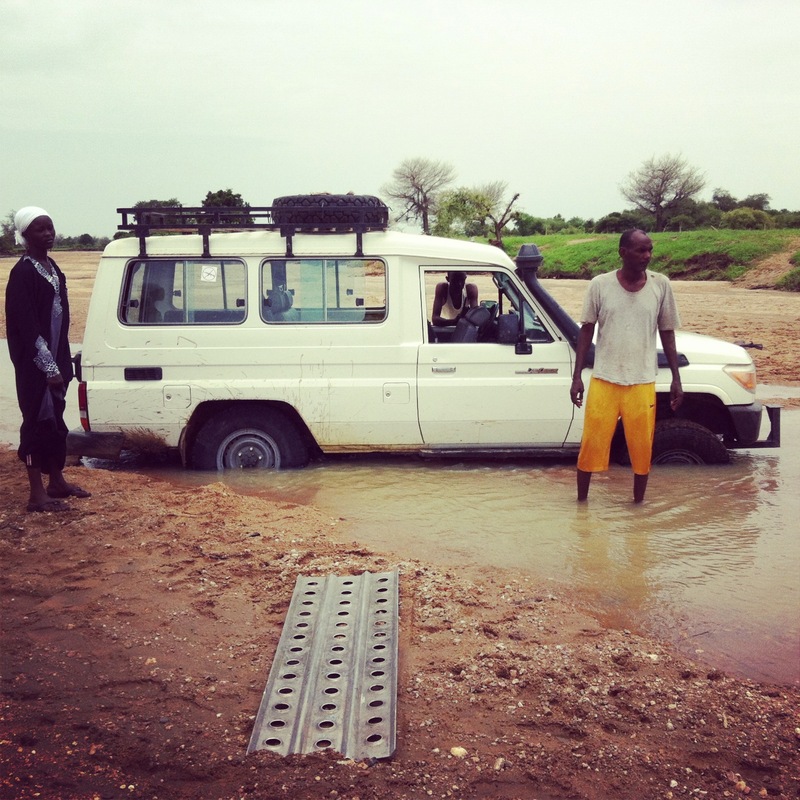 During the rainy season (read: floods), when our vehicles get stuck in the mud, it can take between 3 and 7 hours to get out (which sometimes leads to spending the night in a village). Normally, upon arriving in a village, we are warmly welcomed with hot tea, peanuts and other snacks. For example, in Amkereribe village, Souleyman Ibrahim, the village Chief, normally greets us. He knows every World Concern team member by name and asks about those who are not present during our trips. He is great at expressing the views of the village and knows how to mediate when there are minor disagreements. After spending the day holding meetings; training in harvesting techniques and water pump maintenance; delivering materials and supervising school construction; discussing with elders about strategies for accomplishing an activity; and accomplishing a variety of other tasks, we head out on our journey home – racing the sun and camels the entire way. Back at the office, we compile the day’s data, reports and prepare for the following day. When working in the field, there’s not much notion of overtime – the work must get done. At times, my body will ache from the strenuous journey, or from a commonly acquired bacterial infection (many of the communities we work in are still learning about proper hygiene practices). Living in Goz Beida has proved to be a significant change of lifestyle from the environment that I grew up and lived in (for example, it is nearly opposite from State College, Pennsylvania, where I attended college). It is difficult living miles away from my wife and family, many times taking me completely out of my comfort zone. Women journey to gather water. Yet, despite all the mentioned challenges, I don’t ever question that my job with World Concern is without a doubt worth it. Working with the most vulnerable villages, many of which include conflict-related returnees, OVT has my full attention. One of OVT’s main criteria is that the community be willing to participate in improving their life quality. 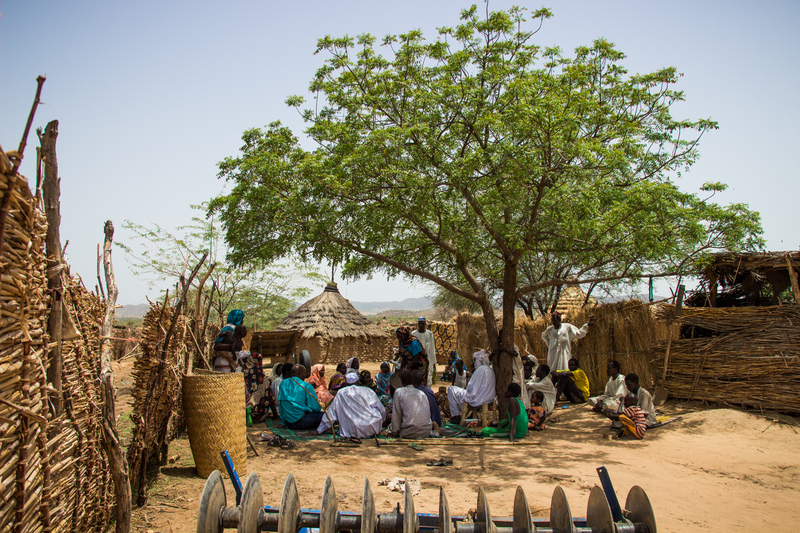 Since the program operates by pairing donors with a village, there is a special trust established between a church, for example, and the selected community. This greatly benefits the way in which the project activities are carried out. At the very beginning of the process, we hold a general meeting with all of the village members (men, women, youth, etc.). Here people are able to express and discuss all of their thoughts and needs. I love this event because everyone in the village is given an opportunity to freely share what is on their hearts and minds. This is a time of great learning and relationship-building. 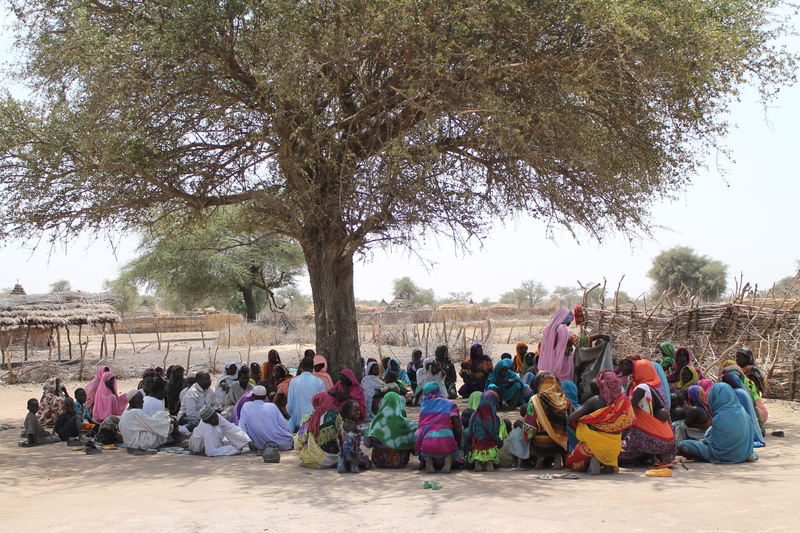 It is amazing to see individuals (men and women) come together for the sake of positive transformation in their village. After agreements are made between the community and World Concern, the practical work comes in to play. 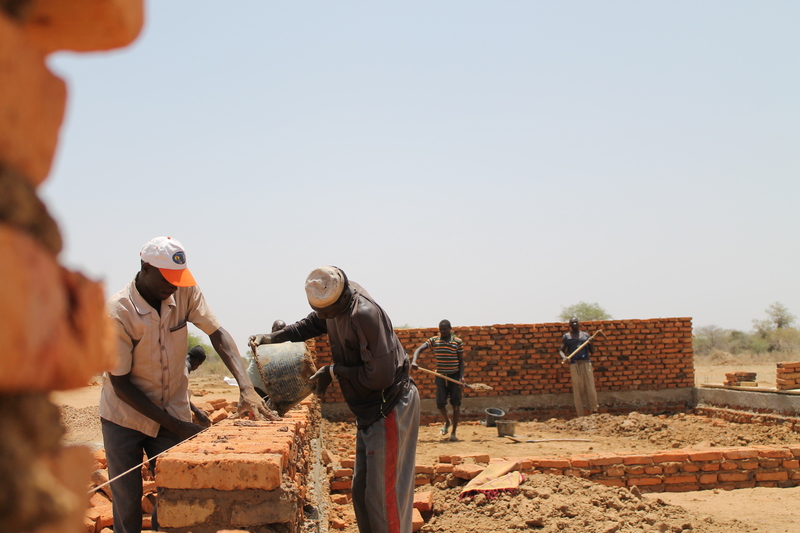 For example, if a community decides they would like a local school to be built, the men must make, bake, and transport their own bricks to the building site. I’ve been very impressed by the courage and determination of the village men. I’ve witnessed the building of 25,000 bricks in only a couple of months! Their passionate labor has challenged me – it is a reminder that I have no excuse for slacking in many areas of my life. 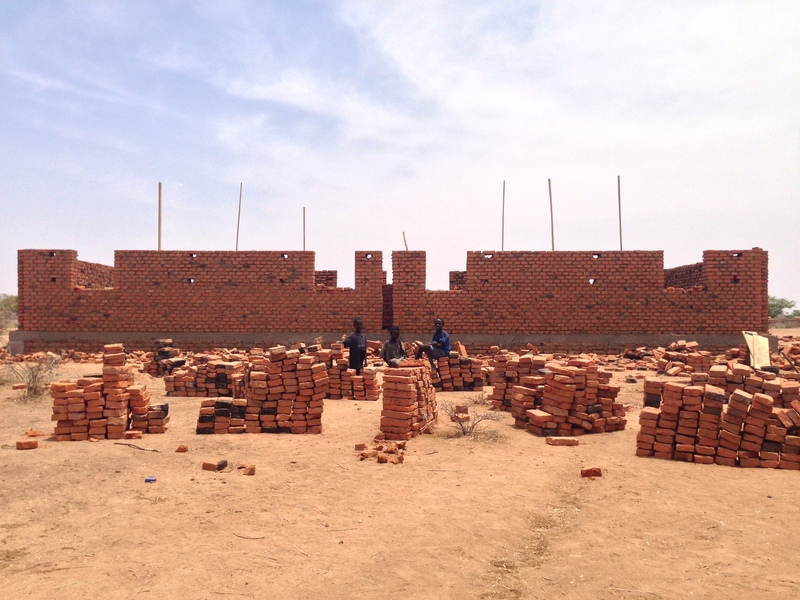 To watch the fruition of World Concern and community partnerships develop has been a huge encouragement –25,000 bricks stacking to become a school that is now operating and teaching children to count and carry on basic conversations in their new learning language (French). The product of OVT warms my heart. It is what fuels my drive to continue to live and work in Goz Beida. 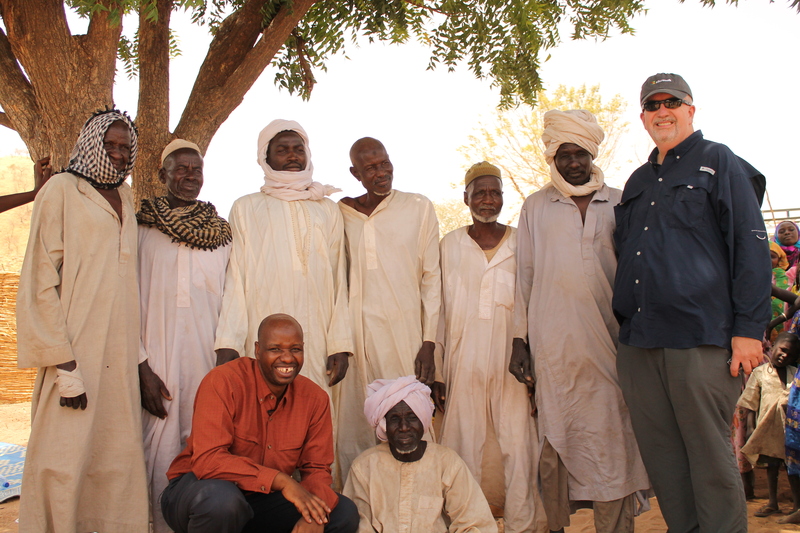 I have also been inspired by World Concern’s donors who occasionally travel all the way to Chad to visit the villages. It is wonderful to see them appreciating the transformations (such as clean water pump installations, school establishments, improved farming practices and more…) that are continually taking place. 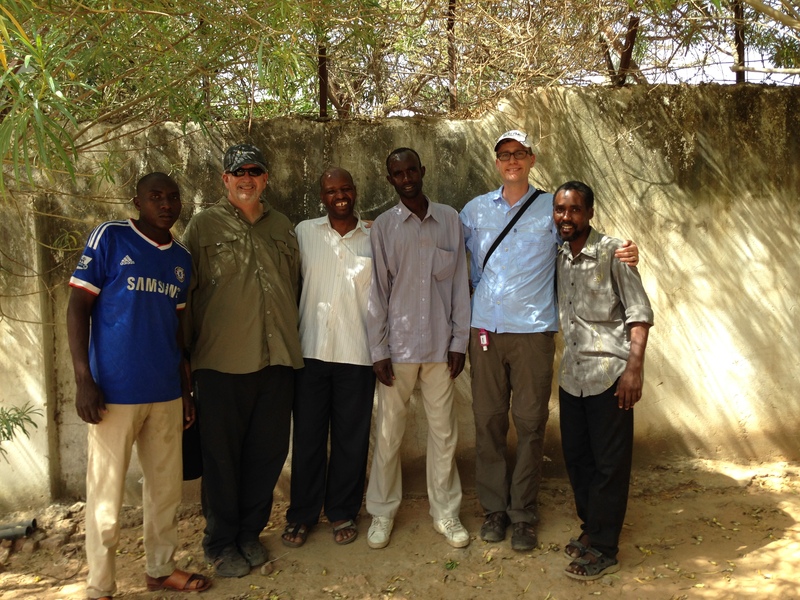 World Concern staff, donors, and Michael (far right) in Chad. When I hear and witness the joy of our donors, it makes me look forward to doing more activities in the field. Their interactions with the community shows how close at heart they are despite the long distance that separates them. The fact that the donors and communities can call each other by name, laugh together, and share food is evidence that their relationship is real. If there’s one thing that I’ve learned, it’s that development takes time and requires patience. Working in the field sometimes calls for extra-human energy, strong will, and great sacrifice. Yet, at the end of the day, it is all about building relationships – and here lies the value. It’s through the community relationships that World Concern is able to move forward, hand-in-hand, with our beneficiaries. I am proud to be part of the World Concern family. It has allowed me to participate in making a difference in someone’s life. It’s a truly humbling experience in one of the most challenging living environments. Hi Michael, I am so proud of you! Your job experience should be an example to follow by all Chadian born that have studied abroad and are wondering themselves whether to come back home to not. Chad needs young people like you! God bless you and all of your staff! Take care. Valentina.